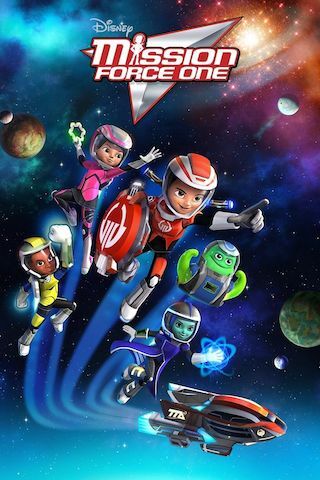 Miles from Tomorrowland is an American 12 minute animation science-fiction television series, which kicked off on February 6, 2015, on Disney Junior and is broadcast every Saturday at 08:30. The show is currently in its 3th season. Disney Junior is yet to announce the renewal of Miles from Tomorrowland for Season 4 as well as its cancelation. Sign up to track down the show's status and its release date. Space adventurer Miles Callisto is always ready for action, traveling through the universe with his family and his best friend, a robo-ostrich named Merc. The family includes mom Phoebe, the ship's captain who sets a good example and encourages her family on every mission; dad Leo, a laid-back pilot and inventor who isn't afraid to try new things; and big sister Loretta, who is a brilliant computer coder and always has her brother's back. Together, they use teamwork and problem solving as they encounter obstacles while completing missions throughout outer space for the Tomorrowland Transit Authority. The Callistos' home base is a floating space station called the Stellosphere, and the StarJetter is the vehicle they use to go to other planets and galaxies. Each episode features a fact related to space or science that inspires the storyline for Miles from Tomorrowland.